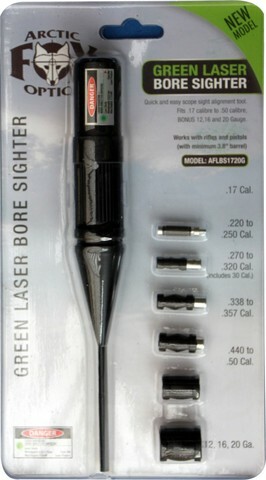 Scope Rings 1" x 3/8"
Scope Rings 30mm x 3/8 "
Powerful new model, “GREEN LASER” with .17 calibre capability. The Laser Bore Sighter comes with 6 x adaptors to fit any .17 to .50 calibre firearm. A “BONUS OFFER” This includes Shotgun gauges 12, 16 and 20G. This unit installs in the barrel of the firearm and projects a laser beam from the centre of the axis in the bore, this allows the accurate bore alignment of scopes, iron sights and laser sights on handguns or rifles.